This is an amazing book about a girl named Cammie. Cammie longs for friends but it's hard for her because her father owns a prison. Due to this fact, Cammie's social life is shaped in many ways. Take a journey with Cammie and learn about her social life and how she can make it better. 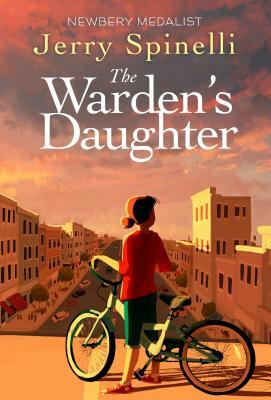 From Newbery Medalist Jerry Spinelli (Maniac Magee, Stargirl) comes the "moving and memorable" (Kirkus Reviews, starred) story of a girl searching for happiness inside the walls of a prison. Cammie O'Reilly lives at the Hancock County Prison--not as a prisoner, she's the warden's daughter. She spends the mornings hanging out with shoplifters and reformed arsonists in the women's excercise yard, which gives Cammie a certain cache with her school friends. But even though Cammie's free to leave the prison, she's still stuck. And sad, and really mad. Her mother died saving her from harm when she was just a baby. You wouldn't think you could miss something you never had, but on the eve of her thirteenth birthday, the thing Cammie most wants is a mom. A prison might not be the best place to search for a mother, but Cammie is determined and she's willing to work with what she's got. "Jerry Spinelli again proves why he's the king of storytellers" (Shelf Awarenss, starred) in this tale of a girl who learns that heroes can come in surprising disguises, and that even if we don't always get what we want, sometimes we really do get what we need. JERRY SPINELLI is the author of many novels for young readers, including Stargirl; Love, Stargirl; Milkweed; Hokey Pokey; Crash; Wringer; and Maniac Magee, winner of the Newbery Medal; along with Knots in My Yo-Yo String, the autobiography of his childhood. A graduate of Gettysburg College, he lives in Pennsylvania with his wife, poet and author Eileen Spinelli.